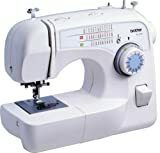 Brother’s new XL2600i is a 25 stitch free arm sewing machine with multiple stitch functions. 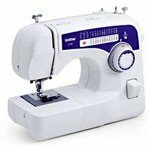 Easy to use, the XL2600i features an automatic needle threader, built in thread cutter and drop-in bobbin system. 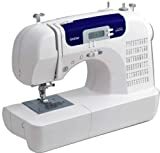 This sewing machine also has a built in one-step automatic buttonholer with a stitch balance control for perfect buttonholes every time. The stitches include built-in stretch, blind hem and decorative stitches as well as basic stitches for garment construction, quilting and embellishment.